They are of mixed land cover with a large portion of the county forested. 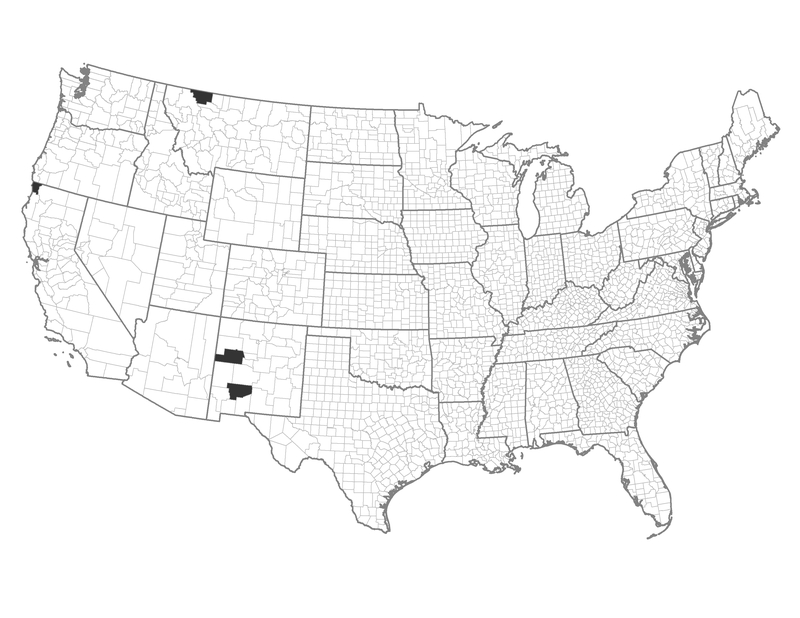 These counties are more demographically stressed with a lower population density than others in the west. Example of a Typical County — Del Norte County, California: Large fires occurred here in 2002 and 2008 on the Six Rivers National Forest. The eastern part is coast redwood that rarely burns.